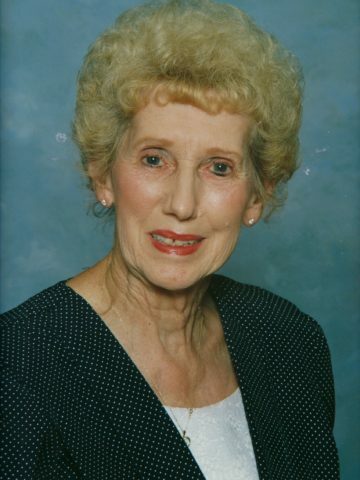 Ms. Margaret Louise Trisdale, age 91 of Gallatin, TN passed away on Tuesday, January 29th, 2019. Funeral Services for Ms. Louise will be held on Saturday February 2nd at 3PM in the Chapel of Crestview Funeral Home with Bro. Tim Brown & Rev. Richard Gaia officiating. Interment to follow in Crestview Memory Gardens Mausoleum. The family will accept visitors beginning on Friday February 1st, from 4PM until 8PM at the funeral home. Visitation will continue the following Saturday from 1PM until Service Time at 3PM. Ms. Louise was a long time member of the Gallatin Church of Christ and loved to collect dolls. She loved making homemade crafts and visiting the annual craft fair at the civic center in Gallatin every year. She was also very active. She would often take walks in the park and attend exercise classes at the Living Well Health Center. Son – Phillip & (Betty) Trisdale of Gallatin, TN. Daughter – Rowena & (Frank) Gwinn of Gallatin, TN. Daughter – Debbie Trisdale of Hendersonville, TN. as well as 6 Grandchildren, 14 Great Grandchildren, several nieces & nephews and Alex, the cat. A kind lady that loved life. A true friend. Quite a lady that loved Alex! Debbie, So sorry to hear of your mother’s passing. Our prayers are with you. Louise was a lifesaver for us. She babysat and cared for our children like they were hers. . We will always cherish her and remember what’s wonderful, loving and caring person she was.